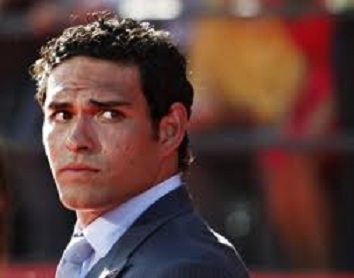 New York Jets Quarterback, Mark Sanchez at the 2010 ESPY awards in Los Angeles, displays an often missed sign of sadness. Mr. Sanchez's central forehead is contracted while at the same time his peripheral forehead is relaxed. If you look carefully, there are subtle beginnings of and "upside-down" horseshoe shaped furrow forming on the inside corner of his left eyebrow. In it's more pronounced form - a full horseshoe is common. These are highly characteristic of sadness and very difficult to make voluntarily. In addition, Mark's left inner eyebrow is upturned - and although his right eyebrow is not similarly changed, this partial expression tells us that the emotion of sadness is either subtle, just beginning or being partially suppressed. Whenever the inner eyebrow is upturned - think sadness. Another subtle signal of sadness seen here, is Mr. Sanchez's mouth is slightly down-turned at the corners.